The Common Awards are a suite of undergraduate and postgraduate taught programmes provided by the Cambridge Theological Federation in partnership with Durham University and the Church of England. The Federation is one of the largest providers of these awards, and provides teaching that is inter-denominational and ecumenical. 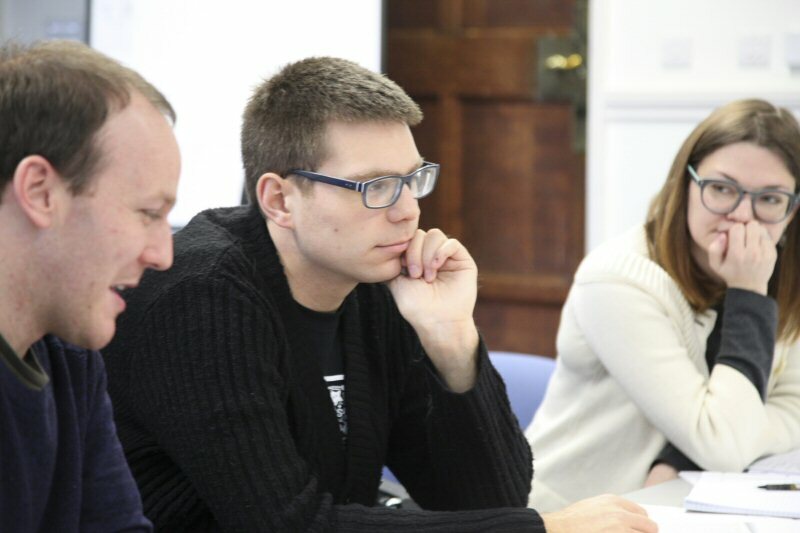 While the awards have been designed to provide training and formation for ordinands and accredited ministers, they are also suitable for lay people from all denominations who wish to deepen their learning and understanding of Christian discipleship. We welcome enquiries from prospective ordinands and independent students who would like to study with us. Please see the admissions information available on our Applications page. The programmes are validated and overseen by our validating partner, Durham University. The local aspects of curriculum development, admissions, teaching and assessment are administered by the staff of the central Federation Secretariat in partnership with the academic and administrative staff from the Federation’s Member Institutions. This means that students from across all the Federation’s Member Institutions attend classes together and are assessed as a single cohort, a structure that provides many opportunities for valuable ecumenical dialogue. The details of each programme pathways and available modules within the Federation may be found in the Common Awards Programme Regulations. Information on the costs of all programmes within the Federation is available on the fees page. Academic members of staff from each of our Member Institutions contribute to teaching and learning of the Common Awards within the Cambridge Theological Federation. Many of them are also affiliated to the Divinity Faculty of the University of Cambridge, and teach on other programmes, undergraduate and postgraduate, within the Federation. Your choice of programme is dependent on several factors. Some ordinands are recommended to a specific course of study by their sponsoring diocese/church, based on an assessment of their academic background conducted during the ordination selection process and the length of time allotted for their ordination training. Ordinands who have not been recommended to a specific programme by their sponsoring party and lay/independent students will have the opportunity to discuss the options for their course of study with the Admissions Tutor or Director of Studies in the course of their House interview. For more information on the programmes available, visit the individual programme pages. For more information on applying, visit our Applications page.